Bryce Ryness has had quite an interesting path to the world he now inhabits. Take his childhood for example. There were three things that Ryness was heavily involved in as a child. The first was baseball. And the second one was baseball. And finally, the third one was, well, you see where this is going. Baseball was all-consuming for him. He would spend hours perfecting the game for most of his youth. His San Ramon Valley Little League team even lost in the western regionals to eventual Little League World Series champion Long Beach in the early 1990’s. But as much as baseball had a hold on him growing up in Danville, Ryness had other passions, one that his family was happy to foster. 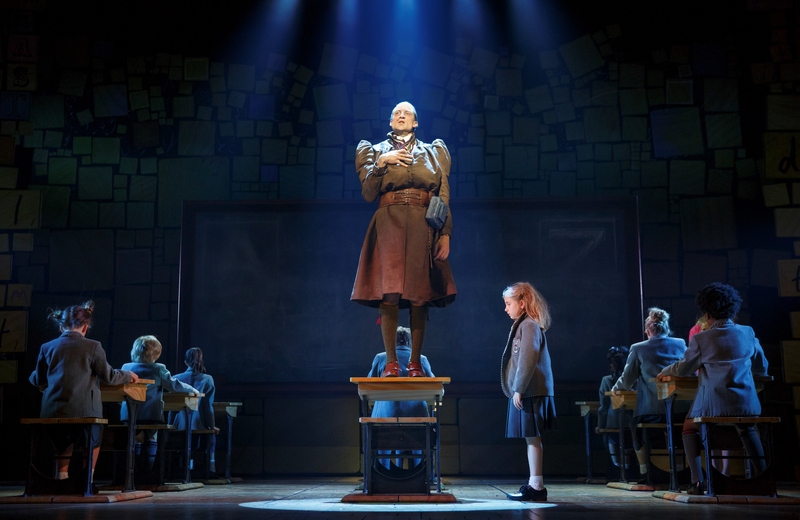 Based on the 1988 children’s novel by Roald Dahl, the musical follows the journey of smart-as-a-whip five-year-old Matilda, who runs into a host of problems with her horrible parents. She has even more issues with her school, but finds an ally in her caring teacher Miss Honey. She also finds a best friend in her love of books, which allows her to escape the difficult realities of her life. Ryness plays the head mistress of Matilda’s school, Miss Agatha Trunchbull, or, “The Trunchbull.” The nicest thing that can be said about Miss Trunchbull may be that she is a ruthless dictator, a woman who hates children and denies ever having been a child herself. Ryness finds great fun in the humor of the role, and in real life, his existence is the antithesis of everything Trunchbull stands for. When the 34-year-old Ryness took the show’s contract offer, there was one potential deal breaker. He stipulated that his family must be able to accompany him on the tour as much as possible, and the producers agreed. So Ryness and his wife Meredith have taken on the adventures of the road with their five-and-a-half and one year old daughters, and their four-year-old son. Having a full-blown family in tow is not common in the vagabond world of a performer in a Broadway national tour, yet Ryness and his wife wouldn’t have it any other way. For Ryness, finding an extended family in their adopted city of New York has been a blessing. He equates his family’s core supporters to a tribe, a group of people in urban settings that support each other through the rigors of life. Going out on the road means to separate from this support, and finding a new structure that works for the entire family is critical. This was something Ryness admits having to learn. 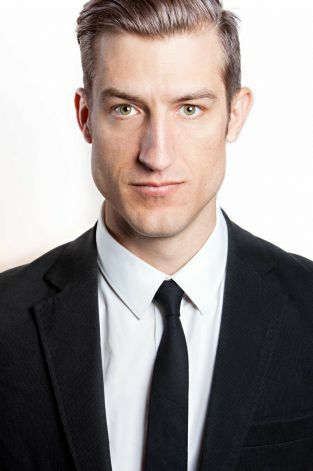 As a young man in his late 20’s, Ryness worked extremely hard to forge a career on Broadway. But he also learned that a career cannot overtake a life. To hear Ryness speak about family is to hear someone who has a firm grasp on the bigger picture. There is a clear acknowledgement that being on a Broadway tour is glamorous, one of the pinnacles for a professional theatre actor. But when those two-and-a-half hours are complete and the audience exits, what is next? The last few legs of the tour have been wonderful for extended family. He was able to spend lots of time with his siblings and their families in the tour’s previous city, Los Angeles, and is back in Danville with his parents for the San Francisco run. Despite the constant, never-ending search for balance in the life of he and his family, he understands what a wonderful opportunity he has, performing a principal role in a show that won multiple Laurence Olivier and Tony Awards since its premiere in 2010. Ryness is still up on the happenings in major league baseball, but it obviously doesn’t consume him as it once did. Yet, when it comes to what does consume him, theatre and family, it’s safe to say that he has taken some hard fastballs down the middle of the plate and hit a few grand slams right out of the park.